Who’s Running for Speaker of the House? The two Republicans now seeking to become Speaker of the House in light of Kevin McCarthy’s surprise Oct. 8 withdrawal from the race—Reps. 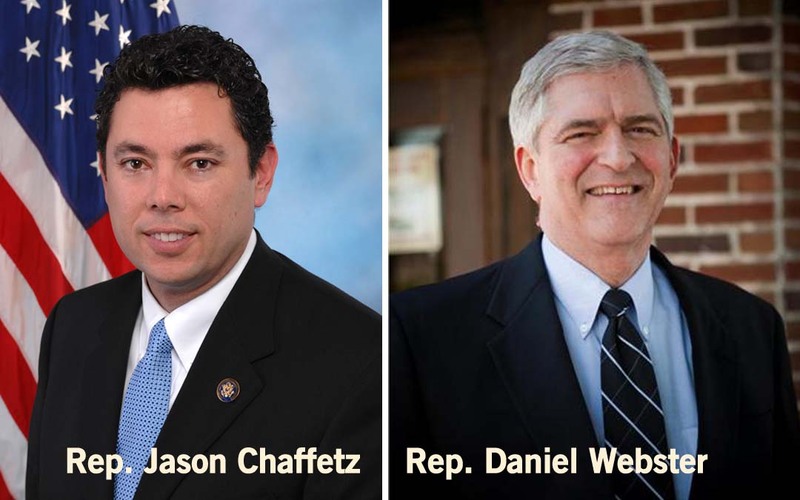 Daniel Webster of Florida and Jason Chaffetz of Utah—have starkly different ideas on transportation infrastructure investment. Webster, who has served in Congress since 2011, has a degree in electrical engineering from Georgia Tech and owned and operated a heating and air conditioning business. He is a member of the House Transportation & Infrastructure Committee, serving on the Highways and Transit and Railroads, Pipelines and Hazardous Materials subcommittees. He also served on the House “Special Panel on 21st Century Freight Transportation,” that was organized to provide recommendations for the House MAP-21 reauthorization bill. Prior to joining Congress, Webster served 28 years in the Florida state legislature. During his tenure, he rose to become the Speaker of the Florida House of Representatives and the Florida Senate Majority Leader. He has been a long-time champion of transportation investment at both the state and federal levels. “While the 113th Congress made progress on several critical federal transportation and infrastructure fronts, I am looking forward to working on behalf of Central Florida to build on these successes and pave the way for future growth and opportunity in our region,” Webster said last December. Chaffetz, who is in his fourth House term, owned a communications firm and served as campaign manager and chief of staff to former Utah Governor John Huntsman (R), before joining Congress. He serves as chairman of the House Oversight & Government Reform Committee and also is a member of the House Judiciary Committee. Chaffetz is one of 36 co-sponsors of H.R. 2716, legislation that would ratchet down the federal gas tax from 18.4 cents per gallon to 3.7 cents per gallon over the next five years, eviscerating the federal surface transportation investment program. He is also one of the four co-sponsors of H.R. 118, a bill that would reduce the federal gas tax “penny for penny (but not below two cents)” for each cent a state raised its gas tax. High-profile House Ways and Means Committee Chairman Paul Ryan (Wis.) has removed himself from consideration in the speaker sweepstakes. Other House members could still step forward to vie for the job before it reaches a floor vote, expected Oct. 29. The House leadership struggle first erupted Sept. 25, when Speaker John Boehner (Ohio) announced that he would resign from the post at the end of October. Boehner said he would continue as House Speaker until a replacement is elected.